From a new shed to paving slabs and bespoke gates. We can do it all. Do not hesitate to give us a call on any query you may have. 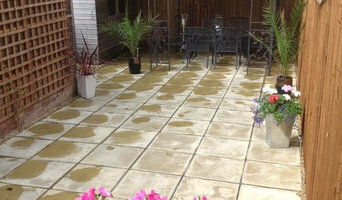 We have been operating for over 20 years and have experienced, helpful staff on hand 7 days a week, 364 days a year. 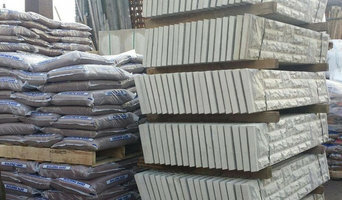 We are committed to offering quality products at trade prices. If you find a like for like product or service we will beat the price. Who We Are Castle Fencing of Birmingham, West Midlands, are specialist fencing suppliers and installers offering quality fitting services. We are specialists in fencing with more than 20 years of experience, and offer a whole host of products from decorative to industrial products and beyond. We specialise exclusively in the supply and professional installation of high quality English continuous steel estate fencing and parkland fencing and installations of all forms of decorative wrought iron work including gates, tree guards and bespoke commissions throughout the UK and Europe. Traditional estate fencing and parkland fencing offers a timeless elegance that will compliment your property and its surroundings without being visually obtrusive. With many years of experience in our field of supplying and installing high quality estate fencing and parkland fencing, combined with a keen interest in our built and natural heritage, we take enormous pride in our reputation and ensure every project is installed and finished to the highest possible standard. As well as being registered suppliers and installers of estate fencing and parkland fencing to the National Trust, our clients include owners of private country estates, small holdings, private houses, local authorities, historic building consultants and landscape architects. We are a small company based in Bridgnorth, Shropshire, that specialises in Countryside Estate Services, fencing, landscaping and tree works. With over 10 years experience, we offer a competitive, professional and reliable service incorporating a high level of expertise and craftsmanship with the ability to undertake a wide range of work in a manner sensitive to the local environment. 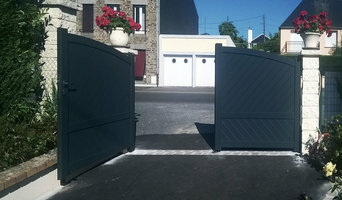 Period Gates provide heritage gates and railings for homeowners and commercial or public places. Their pedestrian and driveway gates and railings are authentic cast iron reproductions of original Victorian designs, and are created using the same traditional foundry techniques.They offer numerous collections around these original designs plus can create railings and gates for bespoke orders. Ironbridge Fencing Contractors are committed to providing you the fencing & decking services that suit your garden and your requirements. Our experience and expertise have gained us a great reputation across Shropshire and the West midlands. Whether you need a new wooden fence or any timber decking for that extra finish, we are here to help. We can undertake any type of commercial or domestic fencing work at a competitive price. No matter how small or how big the job satisfaction is guaranteed. For many years, we have been supplying and installing high quality fences across Birmingham and the West Midlands. 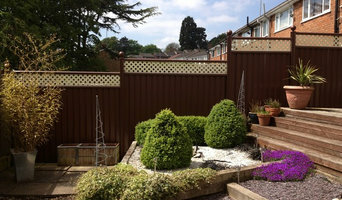 Here at Border Fencing we are based at in Redditch and have built a strong reputation for delivering high quality, long lasting products, for a great low price. Our staff of fully trained and highly experienced in installing all of our products, such as, animal houses, gates, fences, playhouses, summerhouses, workshops, and much more. The same applies to gates, which are even harder to build and install yourself, unless you are a practised carpenter, craftsman or builder. So if you want one-of-a-kind fence and gate designs that can be fitted by professionals, or perhaps just fence repair, then you should take a look at the Birmingham, West Midlands gate manufacturers and fencing contractors listed on Houzz. With Houzz you can browse through gate manufacturers and fencing contractors in Birmingham, West Midlands to find a professional to work on your project. Check reviews, recommendations, ratings and photos of their previous work to decide if you want to contact them about your fence or gate. Gate and fencing contractors in Birmingham, West Midlands will be able to advise you on the best materials to use and how to look after your fencing. Aside from designing, building and installing your fence or gate, a specialist may also offer fencing supplies, materials and fence repair services which will help you maintain your bespoke fencing and gate designs. Whether you are looking to build a traditional wood panel fence, commission an elaborate wrought iron gate, want a quaint white picket fence or a large, electric gate to shield your home from public view, you’ll be able to find Birmingham, West Midlands gate or fencing contractors on Houzz that have the specialist expertise to carry out the job. You may find that gate and fencing contractors also work closely with lawn and landscape professionals. Here are some related professionals and vendors to complement the work of fencing & gates: Wrought Iron Workers, Decks, Patios, Sheds & Summerhouses, Cladding & Exterior Contractors, Landscape Contractors, Landscape Architects & Garden Designers. If you already have some garden fencing ideas or even gate designs, then discuss these with your potential fencing contractors to see if they can become a reality. 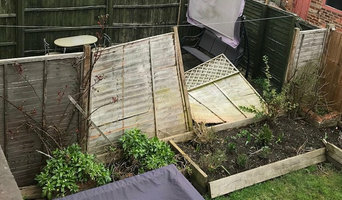 You may find they have to be tweaked slightly, perhaps due to budget, space or Birmingham planning restrictions, but good fencing contractors will be able to come up with a compromise to meet every need or constraint. Find gate and fencing contractors on Houzz. Narrow your search in the Professionals section of the website to Birmingham, West Midlands gate and fencing contractors. You can also look through Birmingham, West Midlands photos to find examples of fencing and gates that you like, then contact the contractor who worked on them.